Something as quick as getting a vaccine could make all the difference someday. Having your pet microchipped means an increased chance that you will get them back if they are ever lost or stolen. We offer microchipping through 24PetWatch with no appointment necessary for only 20.00, including registration. MENANDS, NY-One lost dog and his family have a 24PetWatch microchip to thank for bringing them back together this summer! Late in June, a staff member of the Mohawk Hudson Humane Society in Menands, New York found a small white dog tied to a pole in the Society's parking lot. Scanning for microchips is a regular part of the animal welfare organization's intake process so the stray Lhasa Apso mix was scanned in the hopes of identifying a pet owner. Lucky for "Jojo", a 24PetWatch microchip triggered a beep and the Society was able to contact his original owner, Nancy Alcala, all the way in Michigan! However, Jojo didn't make the journey from Michigan alone. Last year, Alcala was forced by financial difficulty to move to an apartment with a "no pet" policy. She gave Jojo to what she thought was going to be a good home. From there, Jojo bounced around a bit and no one quite knows how he came to New York State and the Mohawk Hudson Humane Society. Lucky for Jojo, he had a 24PetWatch microchip registered to his original family. Proper pet identification is extremely important when it comes to finding a lost pet. Pets can get lost or run away for a variety of reasons, especially while traveling during the holidays, during crowded events with strange guests, or when frightened by loud, sudden noises. 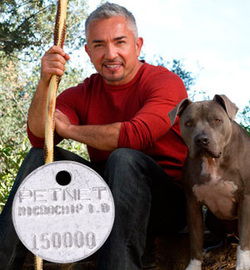 The best pet identification includes a registered microchip, ID tag, and collar. Even if your pet loses its collar, the microchip acts as permanent identification and the contact information registered to it can only be changed with permission from the pet owner, protecting against theft as well. That's why most Petango partner shelters and rescues provide 24PetWatch microchips to all their adoptable pets! Plus, when you adopt a pet from a Petango partner organization, your information is registered to the 24PetWatch Lost Pet Recovery database at the point of adoption, ensuring your new pet is protected before you even take the trip home. Registration and keeping your contact information up to date are the keys to successful microchip protection, ensuring shelters and veterinarians can contact the right person when a microchip is found. 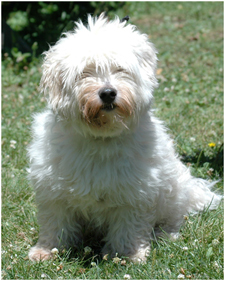 "Jojo is a perfect example of the importance of the microchip. If he were not chipped, this story might not have the same happy ending that it does," said Brad Shear, Executive Director of Mohawk Hudson Humane Society. "We have a virtual lost and found board on our website where people can post a listing for lost pets and people finding pets can post found reports, and all strays are posted on the website. But hundreds of animals come to the shelter with no ID. The most loving thing you can do for your pet is to get it chipped so you can get it back home," Shear stated. Jojo's family drove from Michigan to Mohawk Hudson Humane Society the day after he was found for a happy reunion. Thanks to Chloe Hunt and the Animal House, Jojo was freshly washed and groomed for the big reunion.